The Lizard Lab has a book club that we launched a few years ago to showcase what the lab was reading. We have now added a book reviews page and the first book review is posted below. Click on the Book Club tab (main menu bar) to learn more about what lab members are reading and some of our book selections. We will be posting book reviews regularly. Julia Riley has the honour of being the first lab member to post a book review. And she chose a book by a big-hitter: E.O. Wilson. 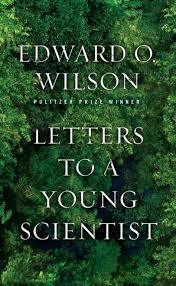 E.O Wilson, 244 pp. Liveright Publishing/W. W. Norton & Company. Paperback on Amazon: US$8-12. This intimate, personal read, is both inspiring and informative about the scientific academic world. E.O. Wilson wrote this book in a casual, personable manner, and it reads like a mentor advising one about their future career choices by telling them his own stories and life lessons. This book is divided up into 5 main sections: the path to follow, the creative process, a life in science, theory and the big picture, as well as truth and ethics. The chapters within these five sections are short, and a quick, easy read, whenever one has a break. They span topics such as: the importance (and conversely, the lack of importance) of mathematical understanding in biological sciences, goals and attitudes to strive toward as a graduate student, and why science is crucial for humanity to progress. I personally found it an extremely enjoyable read with a substantial portion of insight, and inspiration to strive towards greatness in my future career. This book contains wise advice from a great sage in the biological sciences, and is most definitely a worthwhile read.